Gratitude™ is an essential oil blend from Young Living. It has a rich, woodsy scent. And it seemed appropriate this morning to dab on a bit of Gratitude™, inhale deeply, and acknowledge my blessings, the things and people I am so grateful for. I am grateful for much. PS Other blends for the season you may enjoy? 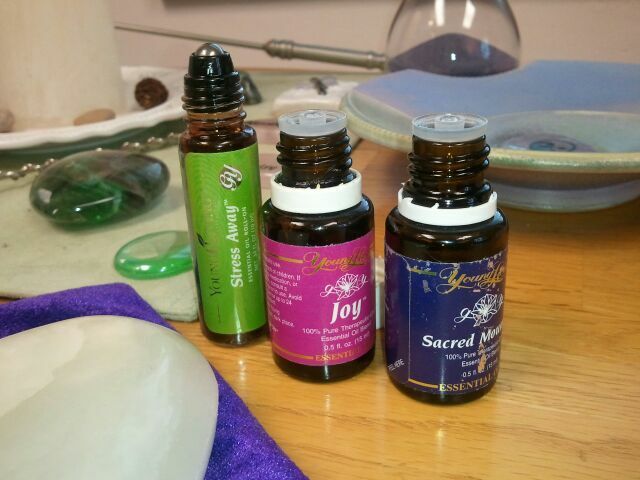 Try Stress Away™ (heavenly scent and anti-inflammatory properties), Joy™, and Sacred Mountain™. Love, love, love! More info, free smells, just ask!